5x ZU650s with 3x GB-200s. 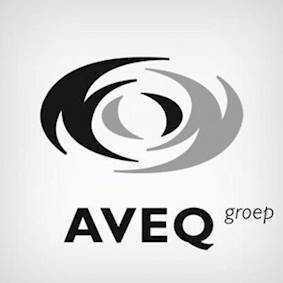 The AVEQ group is a unique combination of power companies in the field of event technology, communications and digital media. 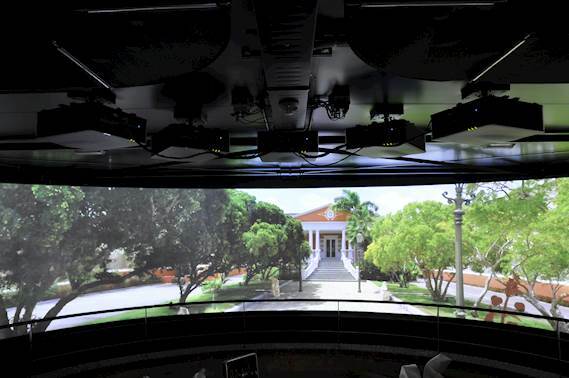 Caring for optimal sound, image and light comes to us with a constant search for boundless interaction. With specialties like photography , film and web technology in-house are crossovers between disciplines rule rather than the exception. “The new DuraCore laser technology, combined with the clarity and reliability, made it a logical choice to invest in Optoma projectors for Madurodam." Challenge: Miniature Park Madurodam in The Hague is home to small scale models (1:25) of Dutch buildings and landmarks. In recent years Madurodam have added several new Dutch stories to it's park through developing indoor attractions. This year´s latest attraction is `The story of George’, a film about George Maduro, a Dutch WWII hero. The challenge was to a project a 5 minute film about his life and actions during the war onto a 19 metre wide and 2.6 metre high curved screen, which required installing multiple projectors and edge blending. Solution: AVEQ installed 5x ZU650s with 3x Chameleon GB-200s. These Optoma laser phosphor projectors were ideally suited for the project due to the length of operation required, broad lens options, edge blending capability and superior brightness and reliability. Results: After setting up, adjusting the blend and days of testing, the opening on the 15th of July was triumphant, successfully captivating the audience through delivering a complete visually immersive experience. Madurodam opened in 1952 and has since been visited by tens of millions of visitors. This theme park is dedicated to one of the greatest Dutch second WWII heroes, George Maduro, a Jewish law student from Curaçao who fought the Nazi occupation forces as a member of the Dutch resistance and died at Dachau concentration camp in 1945. In 1946, Maduro was posthumously awarded the Medal of Knight Fourth class of the Military Order of William, the highest and oldest military decoration in the Kingdom of the Netherlands, for the valor he had demonstrated in the Battle of the Netherlands against German troops. The 15th July 2016 was the 100th anniversary of the birth of George Maduro, and because of this special day, Madurodam built a theatre where every visitor to the park can see the movie about his life. This commemorative film was to be projected onto a 19 metre wide and 2.6 metre high curved screen, which required installing multiple projectors. The next challenge was the edge-blend. The limited height of the theatre required the projectors to be as close to the ceiling as possible and also as close to the screen as possible. The film runs for 11 hours a day, 7 days a week during the holidays. This meant that lamp based projectors would lose their brightness quite fast and the lamps would need replacing quite often which is not ideal for an edge-blend this size. All these requirements: short throw, non-lamp based and 5000+ lumens left the ZU650 projector as the ideal solution for AVEQ. After multiple calculations the final number of projectors was 5. As the Chameleon GB-200 is affordable and capable of such edge blends the choice was easy. 3x GB-200’s are used to make the blend and curve possible. The opening on the 15th of July was triumphant, successfully captivating the audience through delivering a complete visually immersive experience.